What does $1 trillion really mean? Put it like this, Apple could buy 1 billion people a $999 iPhone X and still have $1 billion left over. SAN FRANCISCO — On Thursday, Apple became the first U.S. company to ever reach a $1 trillion valuation. While Apple CEO Tim Cook said it's "not the most important measure" of the company's success, the tech giant is now in a league of its own, standing tall above its Silicon Valley neighbors worth a measly few hundred billion. So just how much is one trillion? And what could that amount of money buy? For starters, let's spell that out. It's a 1 followed by 12 zeros: 1,000,000,000,000. If Apple was a country, it would be the 27th richest, just behind Pakistan and ahead of Malaysia, according to the CIA World Factbook. With that kind of cash, Apple could buy one billion people a $999 iPhone X and still have a billion dollars left in the bank. Or Apple could give all 325 million people in the United States a check for $3,076.92. That's enough money for everyone to buy a top-of-the-line MacBook Pro and still have a few hundred bucks to spare. Apple could also help erase a massive chunk of student debt. Americans hold more than $1.52 trillion in student loan debit right now, according to the Board of Governors of the Federal Reserve System. Or Apple could choose not to give it all away and, instead, have some fun buying anything it wants with its trillion dollars. Apple could buy Microsoft founder Bill Gates' $125 million Xanadu 2.0 estate in Medina, Washington — and 8,000 other swanky homes just like it. Apple could also buy the world's most valuable sports team, the Dallas Cowboys, for $4.8 billion, which might as well be pocket change. They don't have to stop there. Apple could buy every team on Forbes' list of the 50 most valuable teams, all for a bargain price tag of less than $140 billion. Or they could scoop up two other tech giants: Amazon and Netflix would go for around $1 trillion, but they'd have to act fast. Amazon, currently valued at around $879 billion, is widely believed by analysts to be the next company that will join the trillion-dollar club. Other large companies are close to Apple’s valuation, but none has hit the milestone. Google is currently worth around $852 billion and Facebook about $508 billion. Other legacy brands don't even come close, with Coca-Cola at $198 billion and Ford at $39 billion. 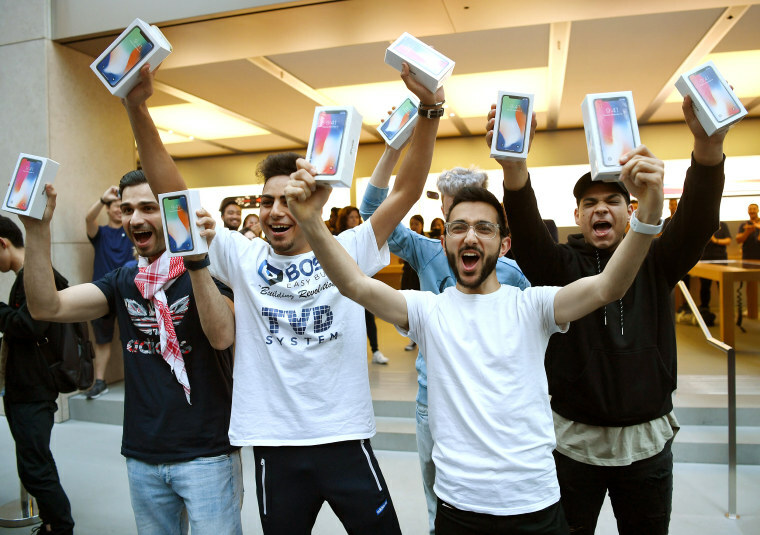 Patrick Moorhead, principal analyst at Moor Insights & Strategy, said Apple's challenge will now be to keep up its momentum by winning big in new markets and continuing to innovate. "The company captured almost all of the smartphone device profits in the industry and reset the definition of what a smartphone is," Moorhead told NBC News. "Apple's biggest challenge going forward is to maintain its lead."